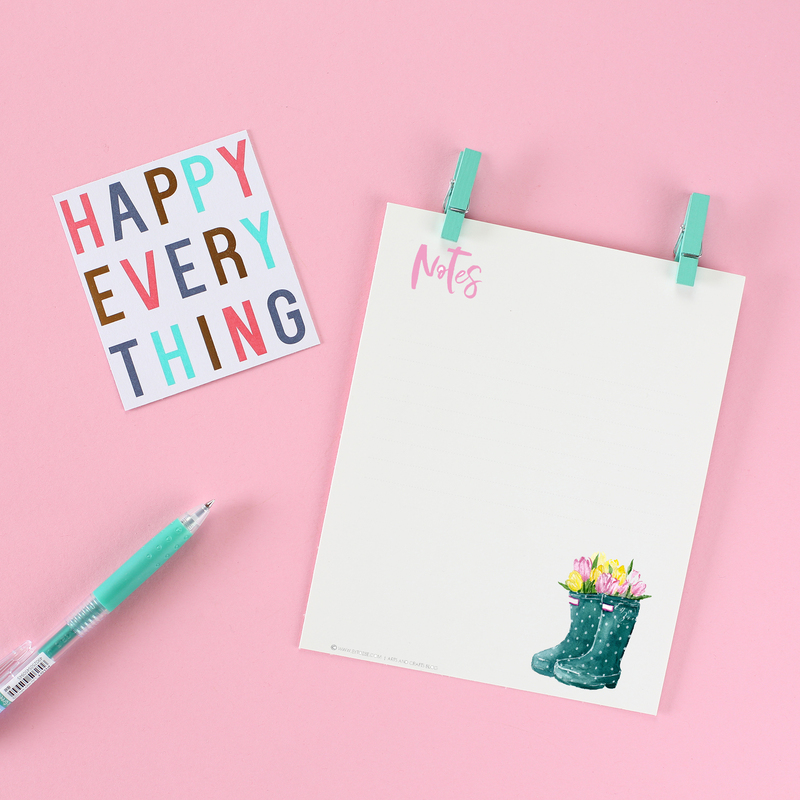 Increase productivity with these free spring inspired printables. That you can insert in your planner or simply used to jot down ideas or reminders. Spring is finally here! Well according to calendar spring 2018 was supposed to start last March 20. But when you are in Alberta it is a joke. We have loooongg winter. Just early this April we still got below 25 weather. But at least recently it’s getting warmer and it rains which is good for the plants, though I honestly hate the gloomy weather plus the mud. Ugh! Okay I know I have to stop complaining and learn to enjoy every bit of the season. In my case I draw and paint and used it for my free printables. That at least will help me feel the spring vibes. 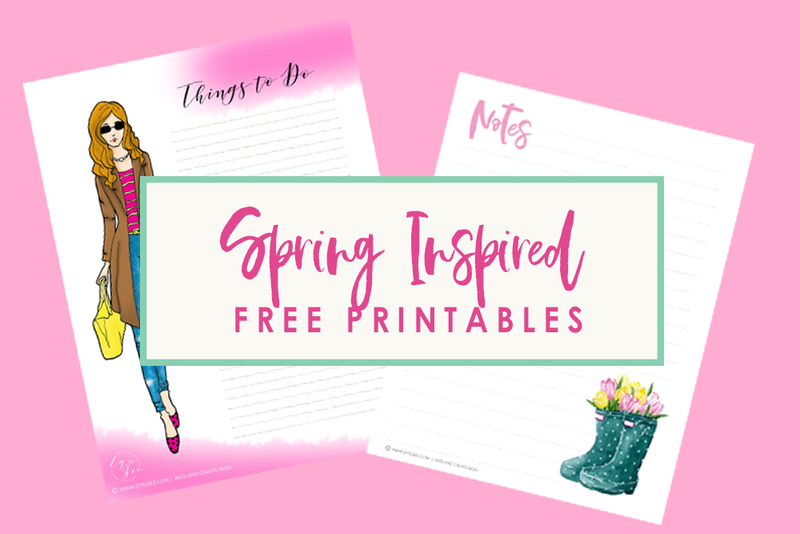 And because it’s spring I am so excited to share to you my latest printables which is inspired by the current season. I used the fashion and rain boots that I illustrated using different medium or technique. By the way, these are stored in my password-protected library. All you need is subscribe using the button below. The bonus is you’ll get a chance to download all awesome freebies that I stored in there. The outline of this spring fashion illustration is hand drawn by me using Pigma Micron Archival Ink (0.08 for the outer outline and 0.03 for the inner lines). I then scanned and rendered it in Photoshop to add the colors. Here’s the link of the post on how to do it, “How to Digitize Your Pen Drawing Using Photoshop“. What cool about rendering fashion illustration in Photoshop is that I can change the colors anyway I want and even add some texture for effects. The size of this printable is 8 x 11. But you can adjust it and print multiple copies in one letter size. Check how to do it below. The second freebie has clip art of rain boots that I painted using watercolor then digitized it using Photoshop. If you are interested to learn how to digitize your art works, you can check tutorial at Skills Share. They have awesome classes there that honestly hone my skills and currently it’s free for 2 months. This freebie is in jpeg format with size at 4.25 x 5.5 inch. You can print it in any size just follow the tutorial below on how to do it. 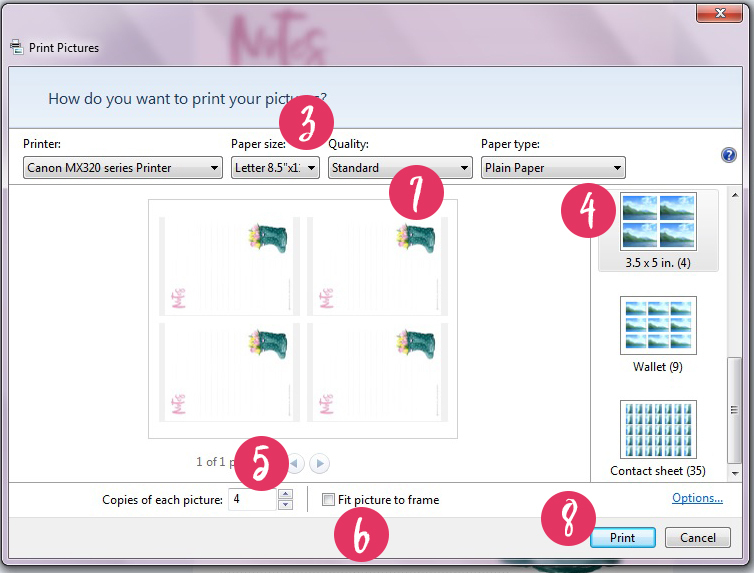 How to Print the Printable in Multilple Copies in One Page Using Windows Photo Viewer? Open file using Windows Photo Viewer. It’s normally the default program to use for Windows user. Go to Print or press Ctrl + P.
Set the desired paper size. I choose 8 x 11 (letter) size. On the right side of the window, choose the number of photos you want to be printed in one page. Click number of copies of picture. Then cut accordingly and use paper clip or you can make glue the top part like having a notepad. 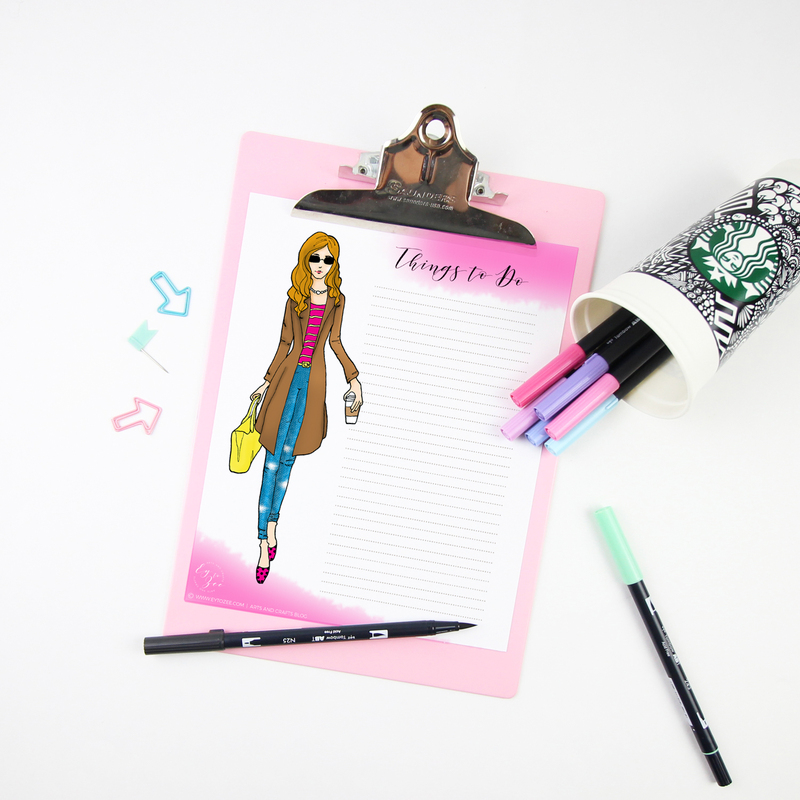 I will talk about productivity because these free printables can be used to increase it. I used to just mentally record of the things that I wanted to do. But with so many ideas bouncing inside my head from eardrum to eardrum I usually forget to do things and ended up achieving nothing. Now, I write all the ideas on a sheet of paper. Then I pick ONE idea or task that I want to finish on that date. And write it in a smaller paper and pin it my board where it is visible. Only ONE, because it is more achievable especially that I work an 8-hour job. If I have spare time I then pick another task and do it. I find this very effective and in fact I feel more productive when writing things down and narrowing my task for each day. If you are interested with graphic designs like patterns and clip arts, fonts, Photoshop tools and more, Creative Market offers SIX free goodies every week. I usually download all weekly freebies and I find it very useful. 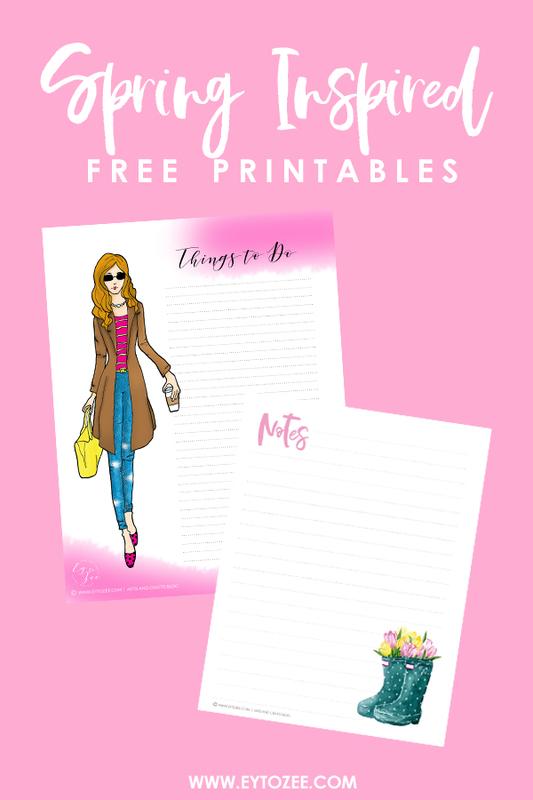 Hope you’ll like the free printables. Don’t forget to tag me in any of your social media accounts – #eytozeedesigns. By the way, your printed copies may vary from the original because of the printer and paper you are using. You are welcome. I am glad that you like it. I will be posting more freebies like this.